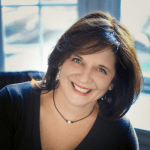 This is a guest post from certified life coach, Brook Packard who's mission is to help families achieve happier good nights and to get more sleep. You'll find her over at SleepytimeClub.com. Those mindless bad habits have a way of sneaking up on us. We want to break them, but the temptations are everywhere. Particularly the temptation to use 21st century technology against our wellbeing and personal best interest. It's essential that we connect for work, family, and community. Yet the very technology that allows us to build connections, stay in touch with far-flung family members, and be more productive is simultaneously tempting us to engage in mindless bad habits. Bad habits like scrolling through social media posts or hooking into a free game app. Social media and app designers make a profit for their company by holding our attention and engagement. Like slot machines, social media companies profit from how much time we invest in our engagement. Our engagement equals mindless habits that don't serve us. “I feel so much better after 15 minutes of crushing candies in a virtual factory!” said no one ever. How do we get hooked? The Like Movie is just one resource that breaks it down. We are battling the release of dopamine brought on by “variable rewards”. Here's a bit about variable rewards from Harvard University's Science in the News blog. Variable reward schedules were introduced by psychologist B.F. Skinner in the 1930’s. In his experiments, he found that mice respond most frequently to reward-associated stimuli when the reward was administered after a varying number of responses, precluding the animal’s ability to predict when they would be rewarded. Humans are no different; if we perceive a reward to be delivered at random, and if checking for the reward comes at little cost, we end up checking habitually (e.g. gambling addiction). If you pay attention, you might find yourself checking your phone at the slightest feeling of boredom, purely out of habit. Programmers work very hard behind the screens to keep you doing exactly that. Variable rewards triggering dopamine release is exactly why slot machines are the biggest money makers in casinos. However, with social media and apps, the cost isn't monetary, it's our time. We see if someone texted us back, or liked/commented on our post, or if there's some new, heartwarming – or gossipy – story that pops up when we hit “refresh” on our Facebook feed. It's no wonder when we need to take a break after an hour or two of focused work, we “reward” ourselves by going straight to a screen. We’re fighting our own neurochemistry and all the best minds of Silicon Valley! I'm not saying we relegate or judge all our social media interactions as “bad habits”. However, for the wellbeing of ourselves and our families, we need to stop engaging with 21st century technology in a mindless way. It's a challenge well worth facing. There is a simple strategy you can use now to break these habits that don't serve us. I stumbled upon this strategy years ago with my daughter. On a beautiful sunny day, my child walked into the house to ask if she could “watch TV”. Here was the problem in a nutshell! She and her friends watched networks, not specific shows. Networks have their own built-in variable rewards system. In the course of a few hours, a favorite show could come up or something so-so. But the ads! There are endless possibilities of micro entertainment with the ads. By the way, the irony that this successful children's network is named after a form of a slot machine from over a century ago is not lost on me. My daughter and I then sat down and had one of “those” parenting conversations. The ones where you know you’re imparting incredible wisdom and experience, but your child is prickly and resistant. That dynamic broke when I put her in control by asking her to make a list of activities, she loved to do that were not watching TV. The first thing on the list was making a sign of the list and tape it to the wall. What’s a little re-painting when you’ve just empowered your child to step away from the TV? That way, the list of alternatives was handy when television beckoned. It turns out, I was intuitively assessing the situation in terms of “opportunity cost”. “Opportunity cost” is a phrase used frequently in the investment field. It is also helpful in assessing our own lives: what opportunities are we missing out on by scrolling social media, checking headlines and feeling outraged and helpless, or promising ourselves “just 15 minutes” playing with an app? I don't know about you, but I've fooled myself into hours – possibly days – of lost opportunities with social media and game apps. We're hard workers, committed family members, and we do need our breaks. Plan them well because if we leave the choice of those breaks up to app creators and Mark Zuckerberg, we're in trouble. Breaks become bad habits, not rewards. The first step is awareness. Shifting into avoidance mode and denying how we’re feeling is how we get addicted to the carnival-like world on our smart phones. When we are aware of what triggers us into mindless habits, we’re supported in making better choices that create more happiness and less anxiety. Plus, there is no loss of the opportunities that avail themselves to use in every single morsel of the day. Make a list of better choices. Choices of activities and practices that you genuinely enjoy. Brainstorm lists of 10-minute activities that are better uses of your time than to see whose home is tidier on Instagram or to join battles with ticked-off birds. Things on your list could include watching or listening to real living birds! When was the last time you identified the birds in your yard or the park? What an affirmation that activity is of our connection with nature and the diversity of species. The same list rule can apply to how you want to employ social media or apps to your advantage. Time-block interacting with influencers on one platform, connecting with far-flung family on another, and use apps for tracking habits instead of losing yourself in a virtual universe. 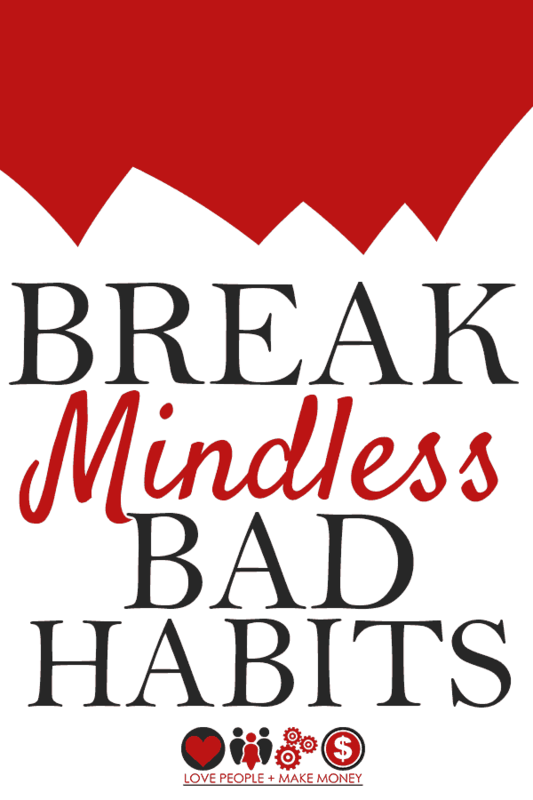 Replace the mindless bad habits with mindful, pleasurable habits. Keep your list handy until these better choices become as mindless as checking the phone for updates. We all need to start associating our rewards with things that are wholesome and support our happiness. Let the employees of that candy factory have a meltdown because they didn’t meet their crushing quota. Not you! Your list will be unique to you, your temperament and values. So, grab your favorite journal or scrap paper and do a little brainstorming and daydreaming. In the meantime, if you could use a 15 minute “put your feet up” break, I’ve created a special guided meditation, My Time. Brook Packard is an early childhood music specialist, mom, and storyteller with a mission: making bedtime irresistible for parents and kids. Bedtime comes around every single night and the way we “do bedtime” results in improved family connections as well as sleep. Brook is a certified life coach, helping families achieve happier good nights and get more sleep at SleepytimeClub.com.